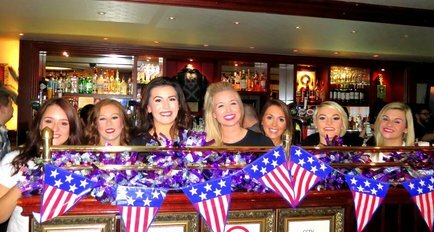 Team Elite are delighted to be the official cheerleaders for the Hard Rock Cafe's Super Bowl Party! We'll be there welcoming the crowds and getting involved with all things American! We are so excited to be at The Big Game and looking forward to finding out who will be playing! On Saturday 3rd February, Team Elite will be surprising guests at the Marks and Spencer Annual Staff Ball! Performing and getting everyone on the dance floor we'll be getting the started at their Super Bowl themed event! ​On Saturday 25th November, Team Elite will be back at BT Murrayfield to perform for a sold out crowd at the Scotland v Australia Autumn International! ​Returning for a fourth year, Elite Pro Dance will be taking to the main stage at this years Light Night Switch on! We will be performing our specially choreographed Christmas routine before Shrek and Princess Fiona press the button to switch the lights on! We cant wait! Team Elite are heading to our sponsors Specialized Signs on Friday 28th July to show off our new routines and promote our awesome sponsors! As well as great music there will be top deals on signage too! It should be a fun afternoon and a great chance to meet some of the squad! ​We will be performing at the sell out Poppyscotland Cycling Sportive on Sunday 24th September in Prestonpans! Kicking off at 7.30am you’ll need to get up early to cheer on the riders raising money to support our heroes!